contract, recurring or day player roles? 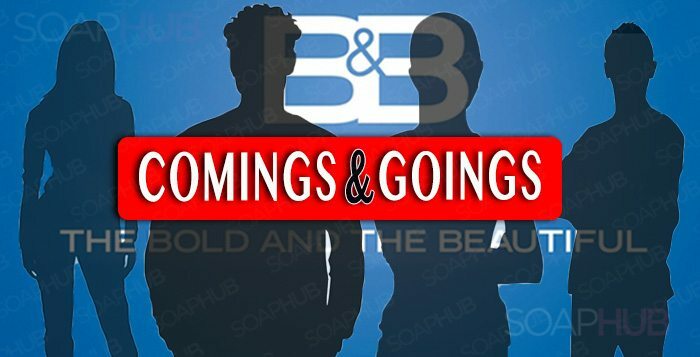 Are any well beloved stars from other soaps, past or present, about to join The Bold and the Beautiful cast in surprising new parts? Maile Brady returns as Tiffany, Emma’s (Nia Sioux) best friend, on Friday, January 25. Guy Nardulli pops back in to wreak more havoc for Reese (Wayne Brady). Look out for the henchman to appear on Wednesday, January 23, Thursday, January 24 and Friday, January 25. Hunter Tylo resurfaces as Dr. Taylor Hayes on Tuesday, January 22, Wednesday, January 23, Thursday, January 24 and Friday, January 25. Also, Kelleth Cuthbert, perhaps best known as the Fiji Water Girl from this month’s Golden Globe Awards ceremony, will be making her daytime debut on the soap, next month. She’s set to play a Forrester model named Raine.